Design inside and out, this is the new Mercedes-Benz A-Class (2018). From its bold shark nose to its dynamic lines, it looks and feels more sporty and aggressive than ever. 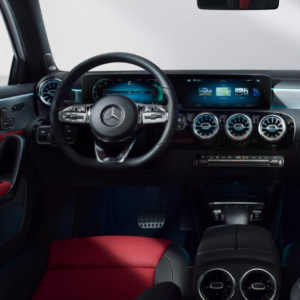 Inside, the innovative Mercedes-Benz User Experience (MBUX) with Natural Voice Control and the new touch interface transform your interactions with the car in the most natural and intuitive way. The new A-Class is all yours to touch and talk to. Learning about what you do is what the new A-Class does best. With features like MBUX, smartphone integration, plus safety and assistance technology – it’s no surprise that it wants to learn more because it helps you. 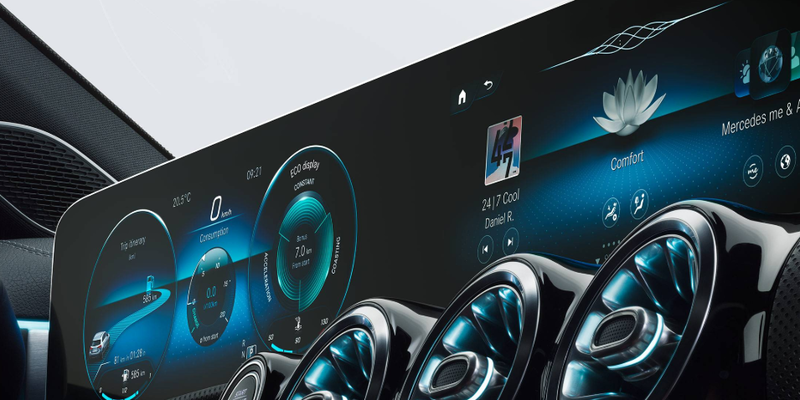 MBUX – Mercedes-Benz User Experience including Natural Voice Control lets you talk to your car like you would to a friend. 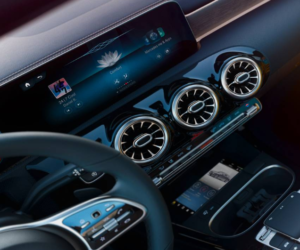 The new revolutionary voice control lets you control many functions with your voice, from the radio to climate control. Navigation instructions, speed limits or your speed – the new optional head-up display can be configured so that it only shows you what you want to see. The new A-Class’ innovative connectivity features work so well you don’t even notice it. Because it connects you to everything that matters to you. The Mercedes me smartphone app lets you take your car wherever you go – even when you’re not on the road. – Safety & assistance systems. The new A-Class has its eyes almost everywhere. So you are always in control, even in tricky situations. And you get to your destination safe and sound. Features like Active Brake Assist with cross-traffic function can warn you in the event of an imminent collision and brake autonomously in an emergency. The new A-Class has the looks. Clear lines and clean surfaces give it its elegant sportiness. The new A-Class speaks for itself: clear, organic forms and reduced lines. A unique mix that makes for a sporty and exciting design. Get as personal as you want. Fancy red contrasting stitching or multicontour seats? You can even change the display or interior ambient lighting. The AMG® Line can instantly fulfill your needs. Like optional sports seats with AMG® leather upholstery in classic red/black. For more information on the A-Class, watch the video below or click HERE!